With their 2005 hit Wedding Crashers, Vince Vaughn and Owen Wilson made one of the best comedies of the 2000s. They charged the comedic genre with an R-rating vein, made a boatload of money and put its two stars right on the map, making them more than bankable. The weird thing? Both actors have struggled to find the right roles in the years since. The solution? 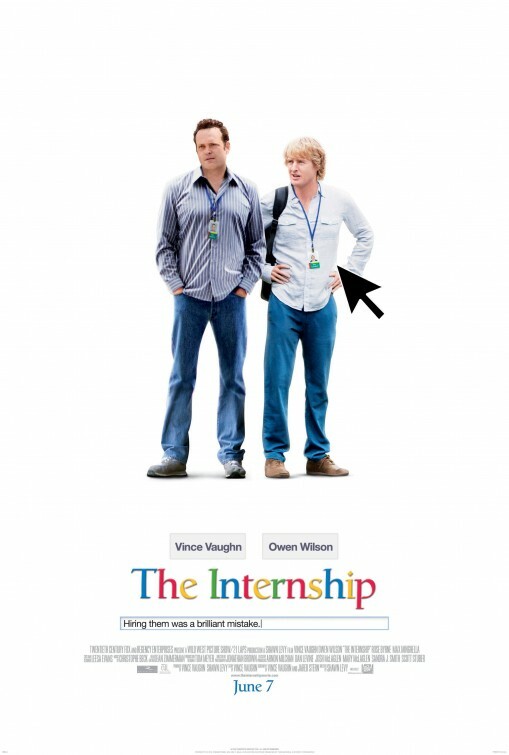 Pair them up again for “The Internship”. Longtime salesmen with the ability to sell just about anything, Billy McMahon (Vaughn) and Nick Campbell (Wilson) have been friends for years going back to high school. With the economy changing though, they find themselves without a job when the company they work for shuts its doors. 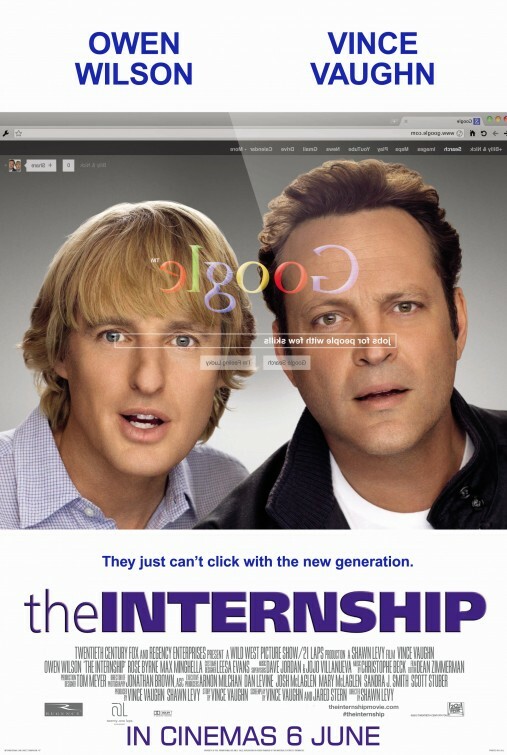 Scrambling for what to do next, Billy finds a solution, enrolling them in the internship program at Google. What they find at the program is something they’re just not used to, waves of 20-somethings who are wrapped up in themselves, technology and their phones. Can they adjust in time? 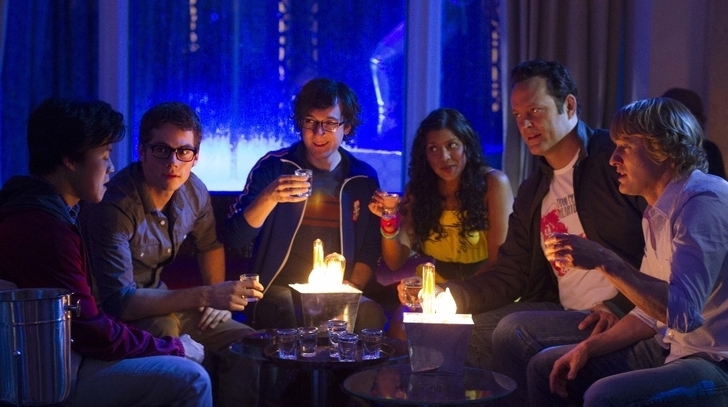 All the interns are assigned to teams, Billy and Nick joining a team led by a fellow outcast, Lyle (Josh Brener), and three other nerd types. Only one team in the whole internship program can win in the end, the team being offered full-time positions with Google. Can the salesmen duo figure out what they’re doing in time? I’m a big fan of 2005’s “Wedding Crashers”. Who isn’t really? Communists, I say!!! The formula here is simple for director Shawn Levy, reunite Vaughn and Wilson, give them a remotely interesting reason to be back together, and….no, wait. That’s it. 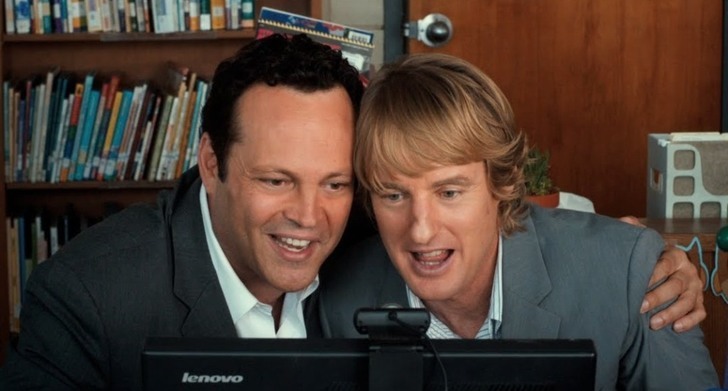 “The Internship” is an excuse to pair these two pretty funny guys together and let the hijinks begin. It has its fair share of issues, but my biggest complaint was that it plays like a giant advertisement for Google. Oh, look how quirky and cool Google is! It has a nap/rest room! Its got bikes painted with Google’s signature colors?!? We hear lots of conversations about Gmail, Google Maps, Google Wallet, Google Plus and on and on. The Google jumping off point is solid/interesting enough (who doesn’t use the search engine in one way or another? ), but it gets to be too much eventually. Beyond the original idea of two smooth dudes crashing weddings, the popularity of ‘Crashers’ came from the perfect pairing of Vaughn and Wilson. Their chemistry was impeccable, perfect, and carried the movie. Does it translate to this PG-13 comedy eight years later? Yeah, most definitely. That kind of chemistry doesn’t just go away. Vaughn co-wrote the script with Jared Stern, giving himself and Wilson plenty of chances to riff and improvise and do those crazy rants that work so well. Even when they push it a little too much — LAUGH!!! THIS IS FUNNY!!! — their chemistry in all their scenes carries the movie through a sometimes sluggish 119-minute running time. Also, look for John Goodman as the duo’s longtime boss, Will Ferrell as Nick’s brother-in-law and possible boss at a mattress store, and Rob Riggle as a salesman at a retirement home. Both Goodman and Ferrell’s parts were uncredited. That chemistry only goes so far unfortunately. The script wants to say a lot, and in general, the messages are actually pretty spot-on. The differences in generations is obvious, the younger 20-somethings growing up with technology in every single aspect of their lives. The generation before them is aware of the technology but not ingrained with it. With the way the world’s heading, it’s clearly leaning toward the younger generation. Ha, didn’t think you’d get this sort of analysis in a review of The Internship, did you?!? What the script is saying is that the answer is somewhere in the middle; the personal relationships, the talking/conversations of the 40-year olds mixed with the tech-savvy younger kids. Seems fair if you ask me, but getting that message across comes out a little heavy-handed. How you ask? Billy and Nick have to teach them how to live! I actually like the message that our over-reliance on technology is slowly killing society, but do the 40-somethings have to actually teach us that? In their team, we meet Lyle, nerdy in every way, a Google employee who wants to date his dance teacher (Jessica Szohr, yes, Google has dance teachers), phone-obsessed Stuart (Dylan O’Brien), Neha (Tiya Sircar), wildly experimental but really a virgin, and home-schooled Yo-Yo (Tobit Raphael). There’s also Rose Byrne as Wilson’s crush (yeah, didn’t see that coming) and Google supervisor, Aasif Mandiv as Mr. Chetty, the internship program leader, Graham (Max Minghella), the brutal British intern, and Josh Gad as Headphones, an intern who wants to be left alone….seemingly. I did like the movie a little more in the second half, the first half dragging. There are just too many instances where the movie is seemingly begging for the audience to laugh. The interview via webcam is painfully forced, a later sports montage at a Quidditch match just as forced, and some of the scenes where Vaughn and Wilson improvise are trying too hard. Disappointing because I liked parts of it, just not enough to fully recommend. Donate to Keeping It Reel!